Bakers Blog Yo! | Hello world! 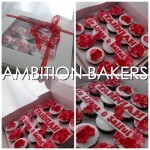 Its the Baker’s Blog by #ambitionbakers. Follow us for more exciting infos and shares! © 2019 Bakers Blog Yo!